Christchurch City Council today approved the name Tūranga, which was gifted by Te Ngāi Tūāhuriri Rūnanga and reflects the relationship with Whitireia, the traditional name for Cathedral Square. “In oral tradition Whitireia was the name of the house of Paikea, the ancestor who travelled here on the back of a whale,” says Carolyn Robertson, Head of Libraries and Information. “Many people might assume we’re simply rebuilding the old central library, albeit a bit bigger and a bit further down the road. The reality is, however, we’re not just rebuilding, we’re completely reinventing it in the process. “Highly flexibly spaces and new technology will be central to the way Tūranga operates. 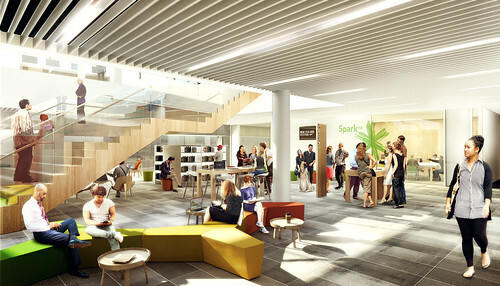 It will connect five floors of knowledge, products, services and experiences, including a hands-on technology and innovation zone, a 200-seat TSB community arena, a café, children’s playground and much, much more. 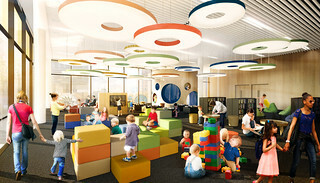 “The entire library will become a digital hub supported by a variety of high-tech features and new experiences. Think virtual reality, gaming consoles, laser cutters, digital walls, 3D printers and you’re starting to get the idea. “It really is going to be something incredibly special for the city, and a real focal point for domestic and international visitors,” adds Ms Robertson. Tūranga will be the flagship for the Christchurch City Libraries network, supporting 19 community, digital, and mobile libraries which last year hosted 3.7 million visits and issued almost 4.5 million items. By 2020, it will connect with the Christchurch Convention Centre, Christchurch Performing Arts Precinct and the refurbished Christchurch Town Hall. Designed by award-winning international architects schmidt hammer lassen in partnership with Architectus, the library is expected to attract around 3000 visitors per day when it opens to the public next year. Christchurch City Libraries staff are currently consulting with a number of secondary schools about options for Tūranga’s youth programmes. More than 2400 community ideas helped shape the vision for the library during the public “Your Library, Your Voice” campaign in 2014. 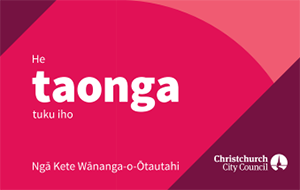 Find out more about Tūranga, your new central library.